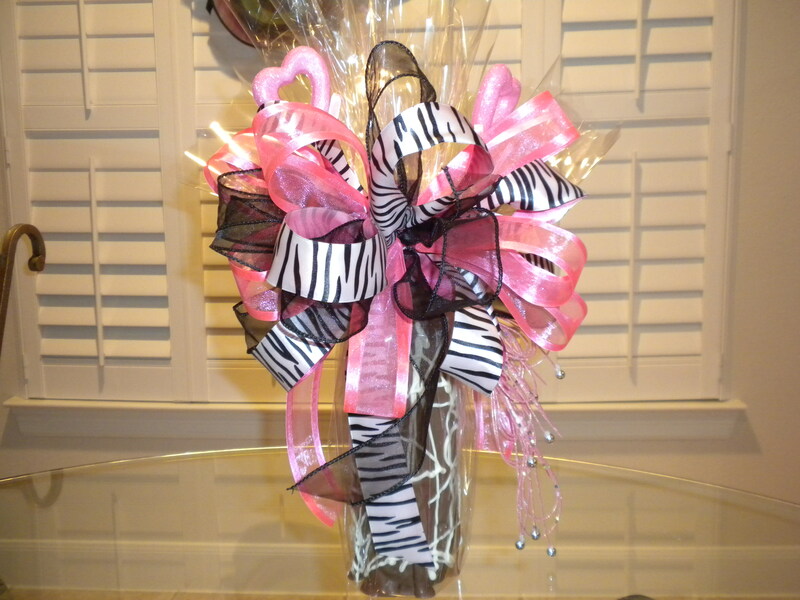 Beautifully decorated bottle of wine covered with white and dark chocolate then decorated in your choice of colors. For more information call (713) 899-0933 or order in your own colors and wine choice. This entry was posted on January 13, 2011 by alliekayglass. It was filed under Chocolate Covered Bottles of Wine .